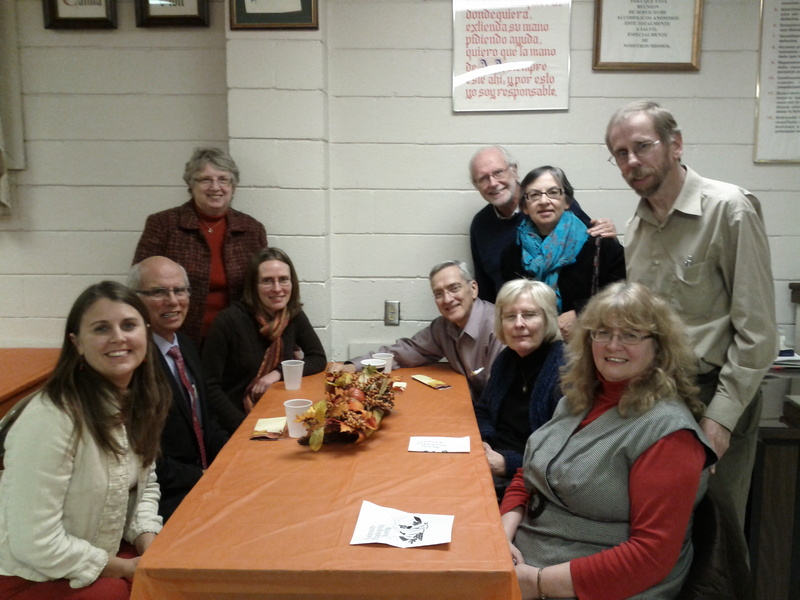 One of the highlights of this service was visiting with members of the Argentine Mennonite Church. In fact, Mennonites had a pretty good showing at this community-wide service! Pictured here starting on the left side of the table: Ruth Harder, Mervin Hershberger (pastor of Argentine Mennonite), Rachel Hostetler and Judy Hershberger (Mervin’s wife). Right side of the table: Marsha and Arlis Diener (from Argentine), Karen and Cliff Hostetler, and Marcia and Phil Rhoads. Here are a few more photos of Argentine Mennonite Church. Look for more posts about Argentine in the future!